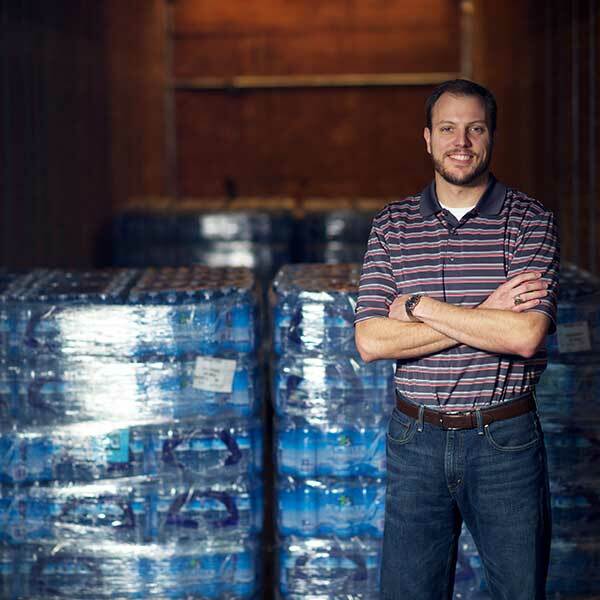 As a graduate of Michigan State University’s School of Packaging, Kyle worked in the Packaging Innovations Department at Coca Cola focusing on secondary and stretch packaging. At Atlantic, he’s the lead engineer for our MUST Monitoring program, implementing effective wrap application and settings for automatic wrapping equipment. Kyle also leads Atlantic’s Stretch University, educating and consulting with our customers on the importance of proper stretch wrap application. This program along with our comprehensive MUST Method cuts costs related to product damage and overuse of film. As the industry moves towards reducing secondary packaging, proper stretch wrap application has become increasingly more important. Kyle is instrumental in showing our customers the effects of optimal stretch wrap application and making data-based recommendations to improve their performance and bottom line. John led a product development team at Dow Chemical in the 1970’s that introduced Dowlex polyethylene for both molding & film applications, including the resin used to produce the first LLDPE based, high performance stretch wrap, Mobilwrap X. His work at Mobil Chemical contributed to the development of cast LDPE for food packaging and blown and cast LLDPE for flexible and industrial films including stretch wrap. At Linear Films (AEP) and Pliant Corporation (Berry Plastics), a number of leading stretch films were developed under his direction, including ADW and ADU at Linear and R122, R410, folded edge Stratos cast handwrap, and Stratos machine films at Pliant. With John on our team, we don’t let film manufacturers control the conversation. His knowledge and insight together with data gathered at the Packaging Solution Center are key to delivering the best possible films to our customers. Stewart has spent his entire professional career in packaging, the first ten years as an equipment sales specialist and since then as a manager for our sales and instrumental in procurement and best practices. 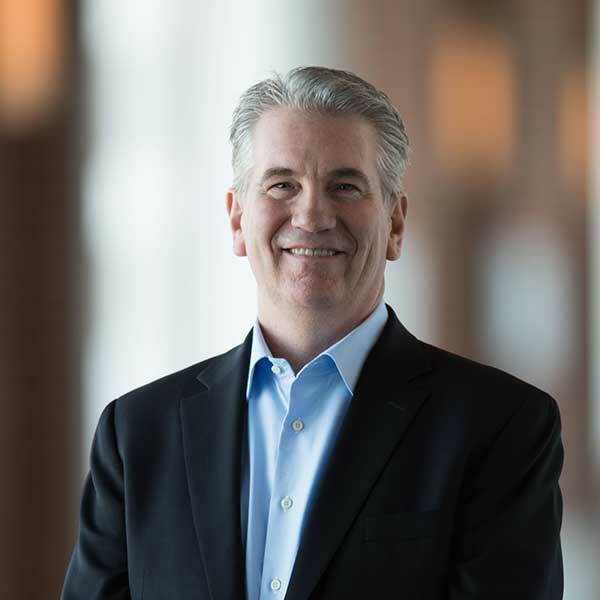 Stewart is also a key figure in our stretch packaging program, helping to launch programs including Stretch Film University and the MUST Method that provide opportunities for our customers to become more educated about stretch film properties. Our goal is to help our customers understand stretch film usage and the proper wrap patterns that will help reduce pallet damage and save money on film. These are hands-on, results-oriented programs developed using the insight gained in Stewart’s own experience with his customers over the years. Atlantic is dedicated to providing our customers with the most technically advanced resources in the packaging industry. Stewart’s role as a product and stretch packaging specialist creates amazing opportunities for our sales team to recommend the best possible products and for our customers to make informed choices and implement best practices for their unique applications in packaging. 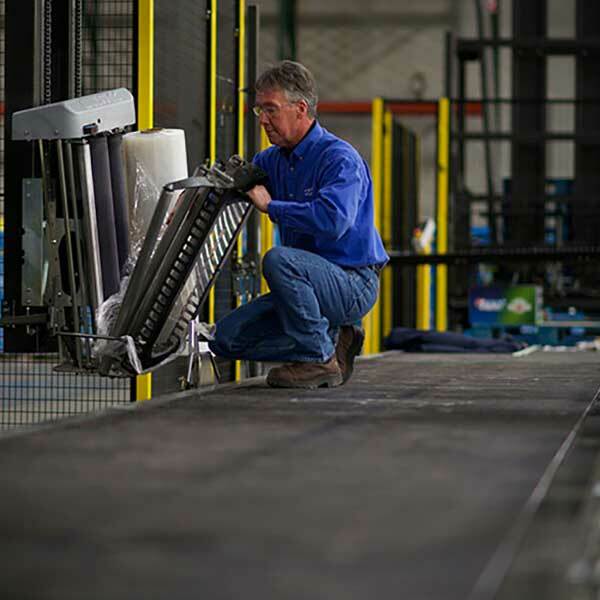 Bruce specializes in programming and working on automatic high-speed stretch wrapping equipment for our customers. He has a background as a systems integrator and controls engineer, writing PLC programming code and creating different logic to make machinery work together. In that line of work, his expertise was integrating multiple pieces of machinery together and creating an operator interface that would control the full system. Bruce then moved into the packaging industry where he applied his skills and experience to working on stretch equipment. With his perspective as a controls engineer, he found that he had an inherent understanding of how the machinery works and how it can be manipulated to meet the very specific needs of each packaging environment and application. Bruce is now a vital part of our Atlantic team with the ability to see beyond a specific equipment problem to find ways that processes and systems can be improved for optimal performance of the packaging line. Bruce is also our lead technician for Atlantic’s MUST Monitoring program where he helps establish benchmark settings on stretch wrappers, monitors activity, and ensures that the film and the machinery are working together in a way that is most ideal for the application. With 30 years in the packaging industry and almost all of that time dedicated to stretch wrapping equipment, Ken is truly an expert in the field and is known to be one of the best technicians in the business. Crediting both a sincere interest in stretch packaging and strong training early on, Ken has excelled at mastering the mechanics of the equipment and also at stretch film application. His experience over the years has taught him the value of observing equipment and processes to find the source of any issues and to think outside the box when it comes to finding solutions. Ken is always willing to explain and demonstrate his recommendations and to help educate our customers on their stretch packaging operation. Ken has learned many things over the course of his career. One of the most important has been how to properly apply film for loads that will result in the lowest cost and the best performance. But Ken maintains that his focus on the customer – and not just the machine – is the key to his success. Whenever he leaves a job site, Ken makes sure that he has completely taken care of his customer and the packaging operation, helping to solve problems that extend even beyond the machine itself. This type of customer service defines Ken’s dedication and the level of care our customers can expect from Atlantic. Chuck has been a Controls Engineer for the last 20 years. Having always been intrigued by engineering and mechanics, he graduated from Appalachian State with a BS in Manufacturing Technology and a minor in Business. He went on to work for Entertainment Distribution Company, the second largest manufacturer of compact discs throughout the 1980’s and 90’s, where he became a Packaging Equipment Specialist, overseeing operations in Shrink, Case Erecting, Automatic Storage and Retrieval System, Robotic Palletizers and Laser-Guided Vehicles. In the mid 1990’s, he began to see automation as the future and turned his sights to Controls. He became a Controls Engineer with the responsibility of all manufacturing and plant facility equipment. 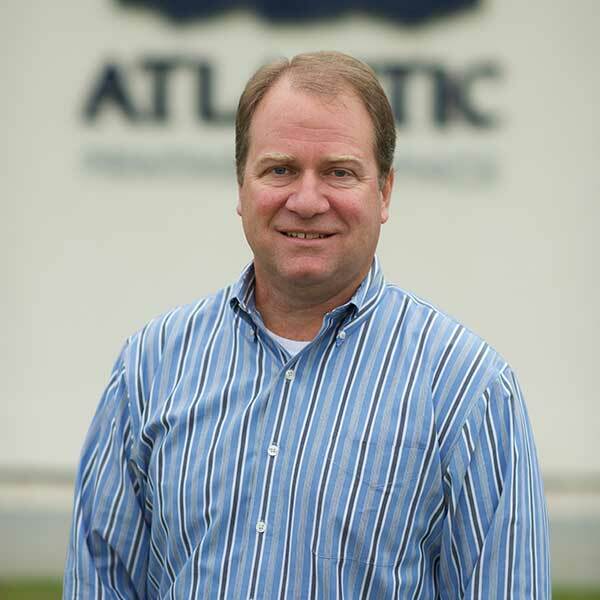 In 2009, Chuck was presented with the opportunity to work as the lead Controls Engineer with Atlantic’s MUST Monitoring System as that program was being introduced to the market. 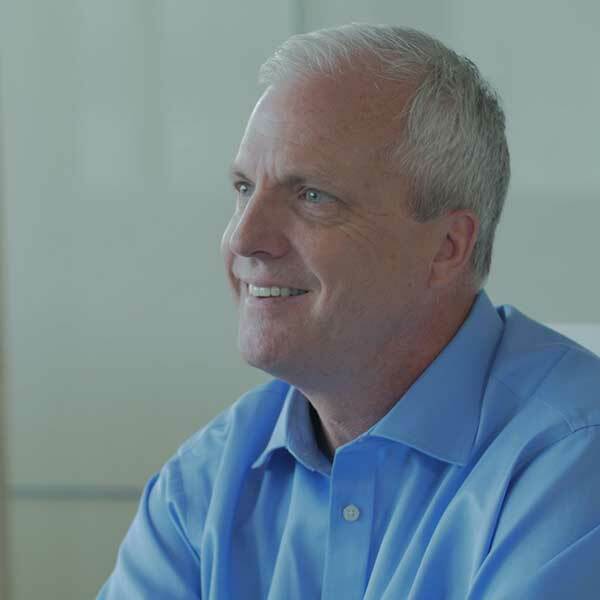 Today, Chuck Davis is the man who makes MUST work for our customers. He performs in-field audits; builds, designs and programs custom MUST Systems; handles parts inventory and logistics; and is even involved in most system installations. He’s based in the Charlotte branch but travels extensively to ensure our customers are properly set up for long-term, real-time monitoring of stretch wrapping systems. Ric Lee has over twenty years of experience in the packaging industry. Eighteen of those years have been focused almost exclusively on stretch packaging in positions including President of Aetna Group USA, Executive Director of Sales & Marketing for Lantech, Inc., Strategic Accounts Manager for Sigma Stretch Film, and now Stretch Film Program Director for Atlantic Packaging. 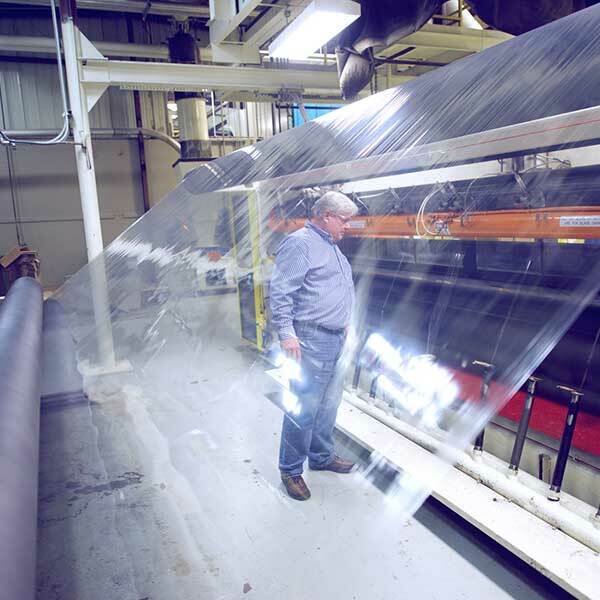 Ric’s expertise has enabled customers to reduce their stretch film usage and establish standard practices for improved performance. Today, he is educating customers about Atlantic’s groundbreaking, comprehensive approach to stretch packaging with the MUST Method, the only system that can set and hold a benchmark standard for any unique application. 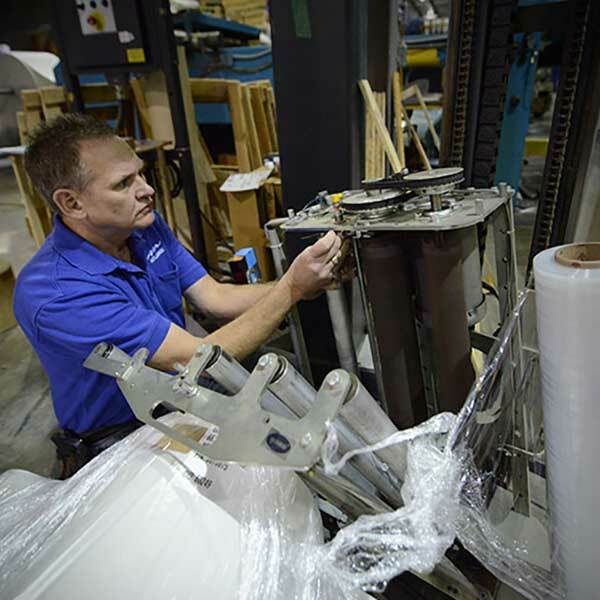 Geoff has been in the packaging business for over 30 years with a focus on stretch wrappers throughout this time. His father was one of the founders of Muller and Geoff began working with him out of college, ultimately helping to grow and expand this business through his skills in sales and consulting. Geoff earned his expertise in stretch packaging and equipment integration as well as film optimization throughout this time and has been an asset to Atlantic in developing a program for building and managing Corporate National Accounts. MUST Monitoring is a critical piece of this program in that it is unique in the industry for being able to measure and track usage, supply diagnostics, and adapt to any wrapper our customers use. With his rich experience in this area, Geoff has also been instrumental in helping to define and develop Atlantic’s MUST Method comprehensive approach to stretch wrapping that saves money for our customers, improves wrapping techniques, and holds standards over the long term. Chris has been in the packaging industry since 1997, first with a distributor out of Atlanta and then with Paragon Films where he became knowledgeable in high performance stretch films, and today with Atlantic Packaging as a member of our MUST team. 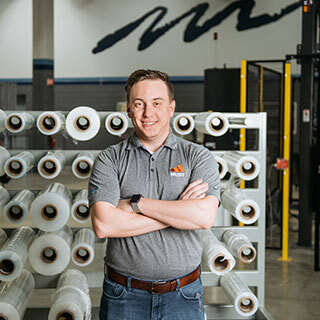 Chris’s focus on film performance during his time with Paragon led him to experience first-hand how investing in the right films and pairing those with optimized wrap cycles and patterns on the machine side results in less damage and reduced material costs. With the right films and the right wrap settings, less material is used overall and load containment is secure. This is the central thesis of Atlantic’s MUST Method and Chris has been bringing this message to customers up and down the east coast. He’s focused on the sales and education piece of MUST as well as customer support and long-term optimization. Steve has been an equipment specialist in the packaging industry for over 12 years. About halfway into his career, he had a revelation about the film side of the equation. Through his own testing, he discovered that using a thinner gauge film with the correct prestretch and the proper machine settings yielded better performance at a lower cost. His understanding of how film and equipment work together to achieve load containment was unique to the industry at the time but was in line with Atlantic’s emerging approach to stretch packaging. 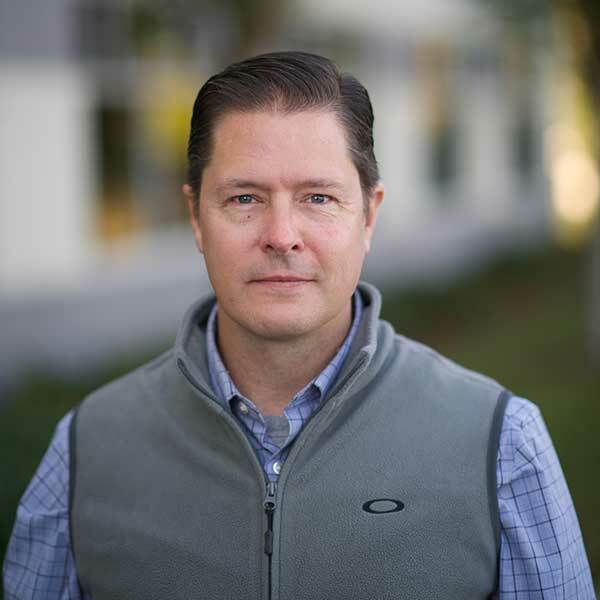 As we were developing the pieces of the MUST Method, Steve’s experience and his location in Portland, OR made him a perfect fit for bringing MUST to companies and corporate divisions on the west coast. 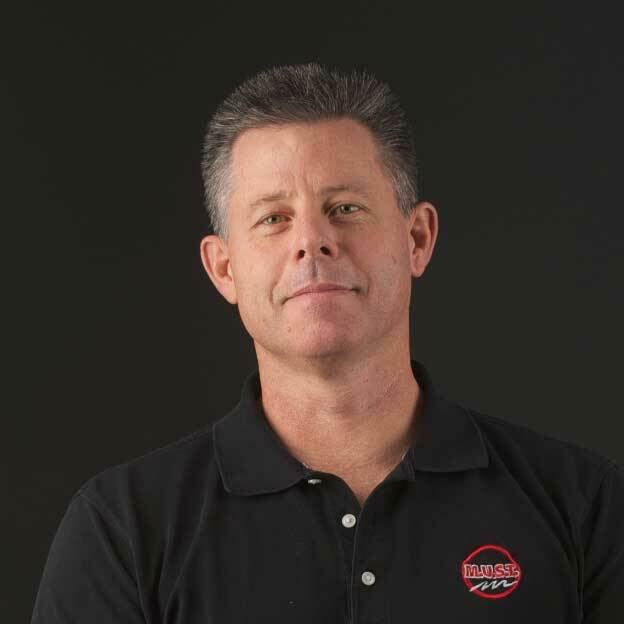 Steve is a sales specialist who is involved in every part of the MUST Method with his customers, from the full on-site audit where he and the technicians examine equipment and film usage, to maintenance, optimization, and real-time monitoring. With a degree in Packaging Science from Clemson, Kyle Dunno managed Clemson’s Transport Packaging Lab where he was active in designing and developing packaging that would certify customer packages for transit through a variety of distribution channels. He also taught courses at Clemson on distribution packaging, earned an M.S. degree in Packaging Science, and got his Ph.D. in Food Technology where his research focused on evaluating the effects of transportation hazards on package performance and food product shelf life. At Atlantic’s Packaging Solution Center, Kyle is able to bring together all the elements of food logistics and transportation that he’s been working with into one comprehensive testing system, applying this technology to the biggest food producers and consumer products manufacturers in the packaging industry. 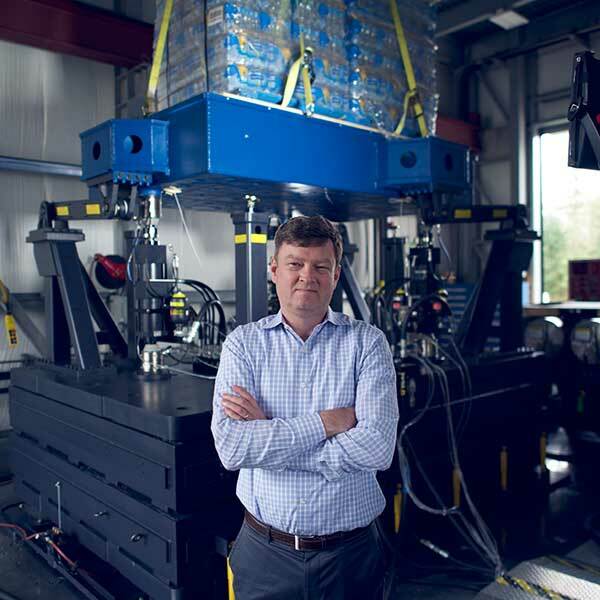 Atlantic has teamed up with Lansmont, the leaders in field-to-lab testing and pioneers of TruMotion Vibration Systems, to design and build the first-ever Multi-Axis Transportation Simulator for the packaging industry. We’re using Lansmont’s field data recorders to collect and supply data for the Simulator as well as a Braking & Impact Test Sled to test the effects of acceleration and braking on wrapped loads during transit. All of our equipment and testing will take place in the state-of-the-art Packaging Solution Center in Charlotte, NC. 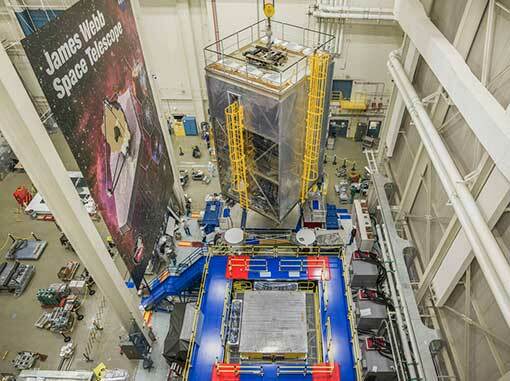 Lansmont provides state-of-the-art technology to the world’s leading companies, government laboratories and educational institutions including testing and controlling equipment for NASA’s James Webb Space Telescope and the world’s most powerful spacecraft shaker system for the Orion Service Module. We’re excited about this working relationship with Lansmont and their other NVT Group family member, Team Corporation. It doesn’t matter if you’re transporting pallets of beer or a $10 billion dollar telescope, it has to survive the journey.